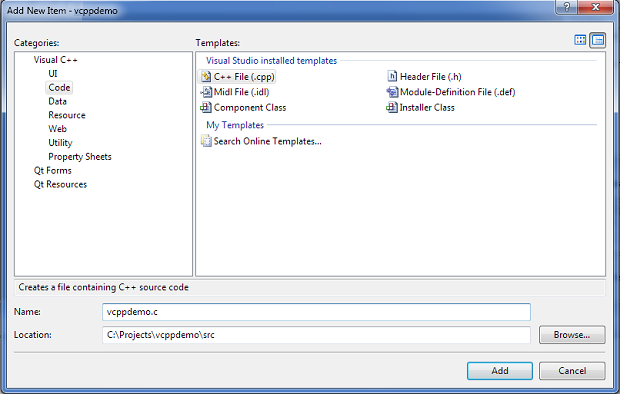 Before starting to create a new Visual C++ application project in Visual Studio 2008, please refer to the article on how to setup development environment here. 3. 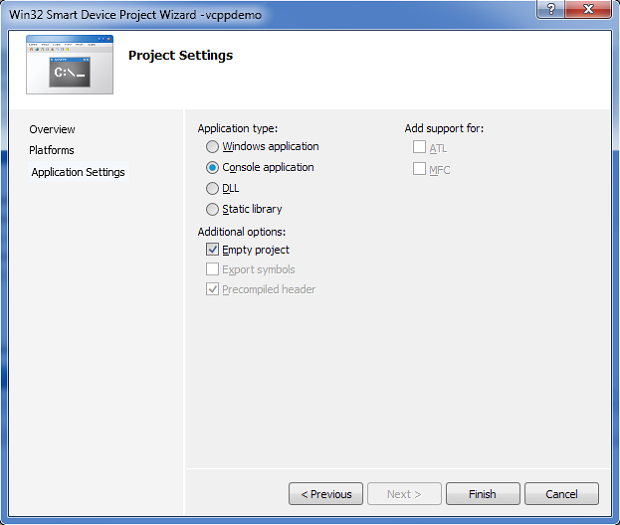 In the Project types pane, expand Visual C++ node and select Smart Device. 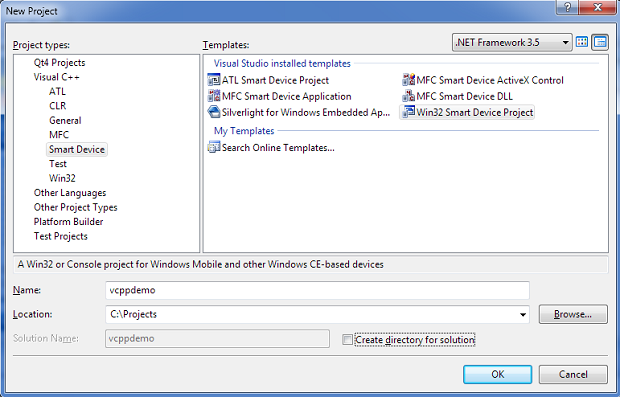 In the list of templates, select Win32 Smart Device Project. 5. 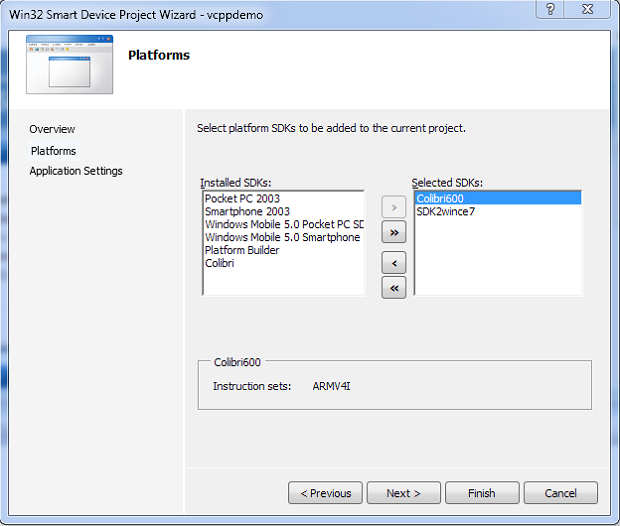 In the Welcome to Win32 Smart Device Project Wizard, select Next. 6. 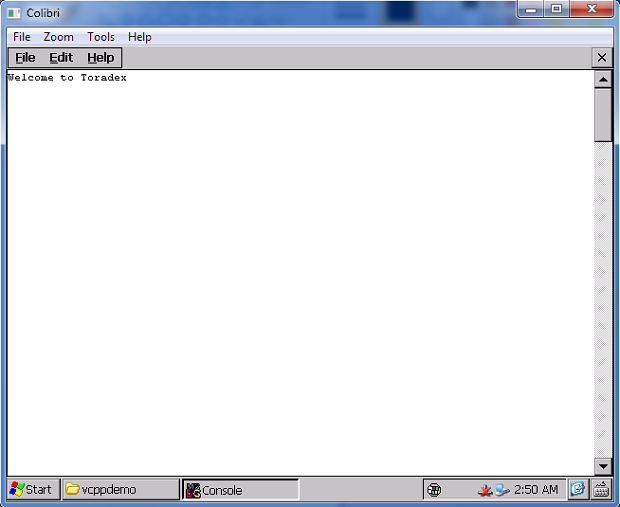 In Platforms window, select Toradex_CE600 for Windows CE6 and Toradex_CE700 for Windows Embedded Compact 7. The screenshot references old SDK names, those have been replaced in the new SDKs, if you have projects that still use the old SDK, you can find information about how to migrate them here. Click Next. 7. In Project Settings, under Application type select Console application. From Additional options, select Empty project. Click Finish. 11. 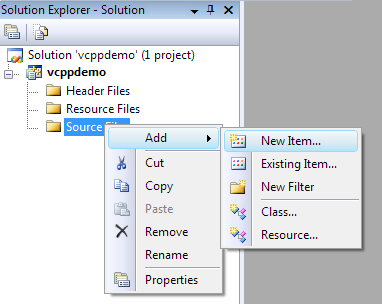 To build the VC++ application project, in the Build menu, click Build Solution. 12. To deploy the project, in the Build menu, click Deploy Solution. 13. After deploying, on the Colibri module, open My Device. 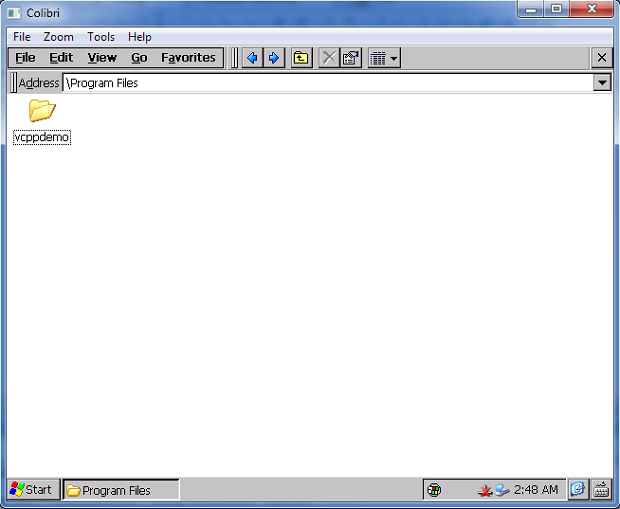 Select Program Files. The vcppdemo folder contains a .exe file to run the application. 14. Double click the .exe to Run the application.